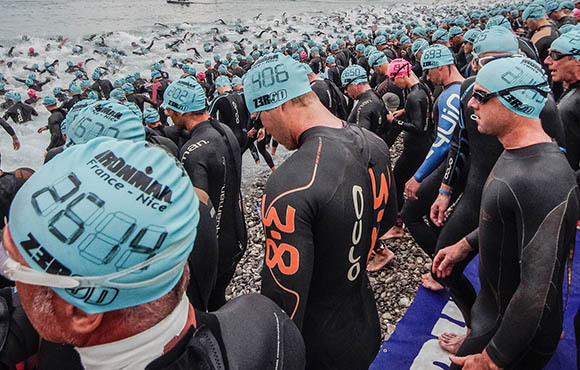 Looking for a slight edge on race day, many triathletes search out the newest, fastest, most aerodynamic gear without regard to their bank account. You know who I'm talking about. They're the guys with shaved legs and shiny bikes that cost more than your car. 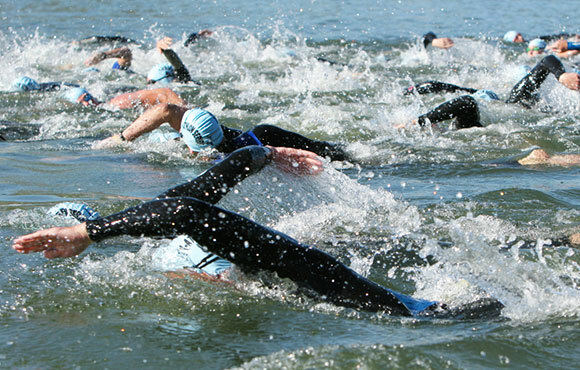 If you're thinking about doing a triathlon, this whole "cult of the aerodynamic" can be intimidating at first. 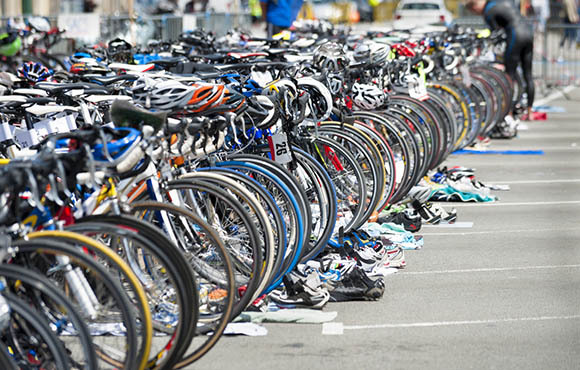 However, you don't need to spend a bunch of money on triathlon-specific gear to do a triathlon. It's more than likely that you already have most of the equipment you'll need. Here, you'll find a basic gear list that has everything you need just to get across the finish line. 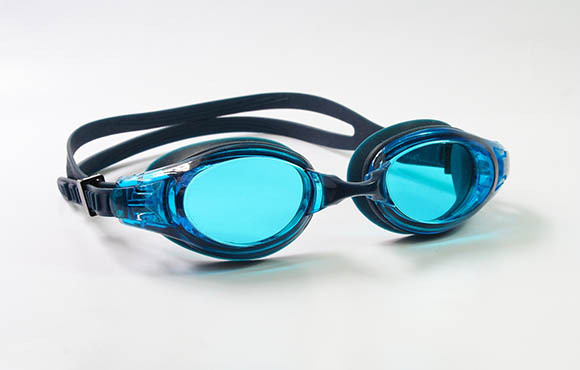 And, after finishing your first sprint, check out the gear list for intermediate triathletes. 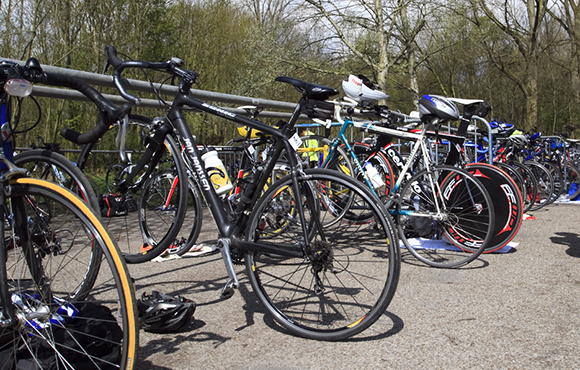 Just starting out, you'll most likely be doing a shorter, sprint-distance triathlon. You're not looking to break any records you just want to have fun and get across the finish line. 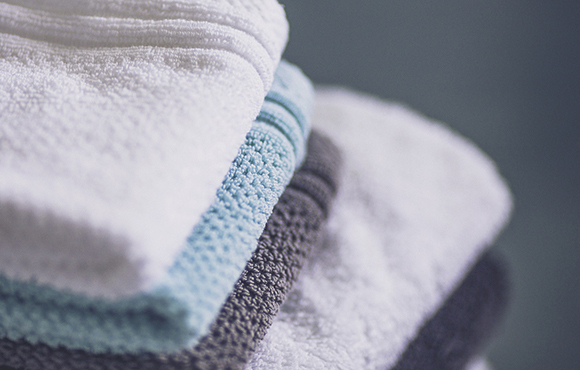 The most important thing about the gear you use for a triathlon is comfort. Individual preferences vary. 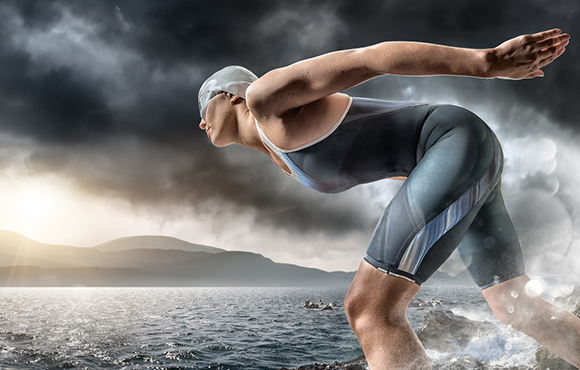 Some people feel comfortable doing an entire race in a swimsuit. 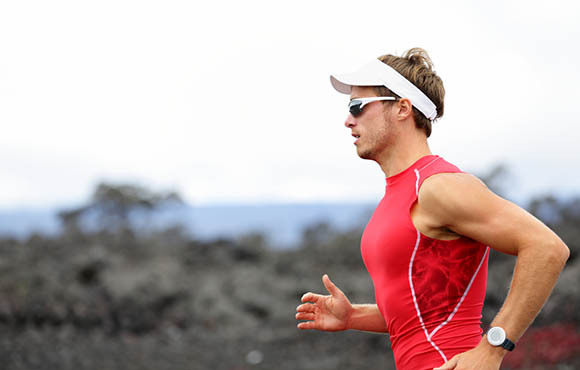 Others who aren't concerned with transition times will change clothes for the bike and run. Any swimsuit will work. For comfort and speed, guys should consider those tight, Speedo-type briefs. Gals, a one- or two-piece T-back will ensure you won't have to worry about straps falling down. Any, as long as they fit. Usually provided by the race. Mountain or road bike, whatever is in your garage. If you're riding a mountain bike, replace your knobby tires with slicks for a little extra speed. 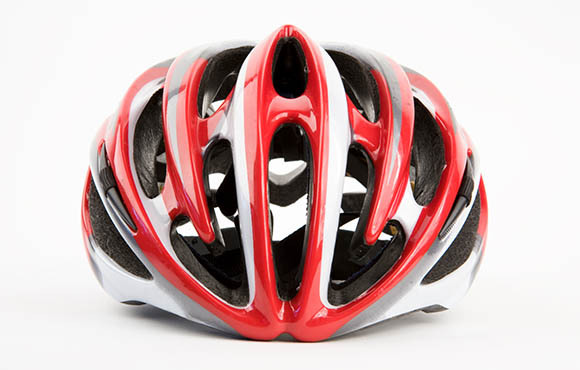 You won't be allowed to race without a "skid lid." If your helmet is over five years old or has been knocked around, it's time for a new one. 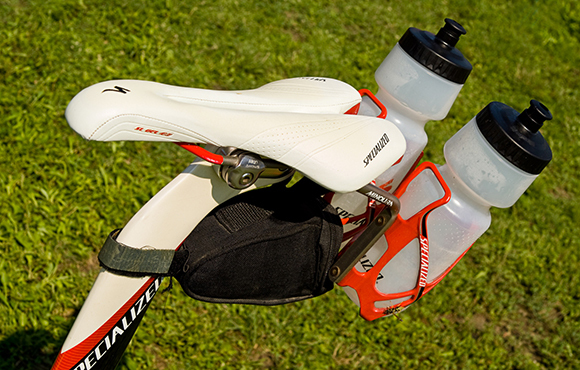 Even in a short race, you'll appreciate having something to drink on the bike. Some races don't allow bare chests on the bike or run, so guys need a shirt. Gals, you're probably already covered. For comfort and speed, a close-fitting, synthetic shirt beats cotton. Don't skimp on quality. 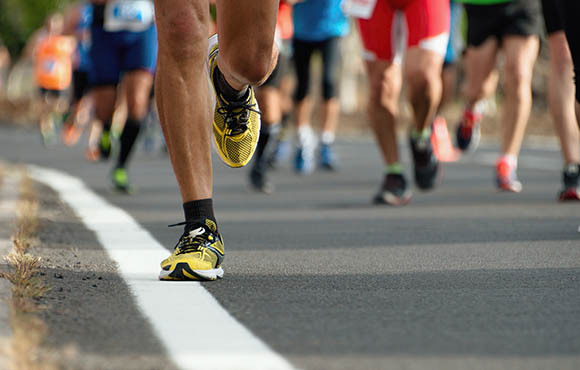 Make sure your shoes fit your feet and your style of running. An easy upgrade that translates to more efficiency and speed on the bike. Keeps the wind out of your eyes on the bike, and makes the run more comfortable when you don't have to squint in the sun. 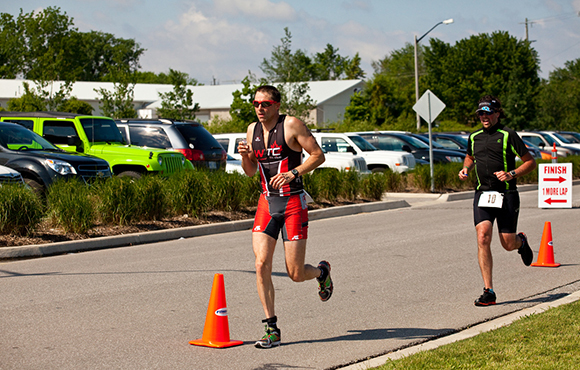 Whether for comfort or modesty, many people prefer having bike shorts or running shorts for the segments after the swim. Some people save a few seconds in the transition by going without socks. 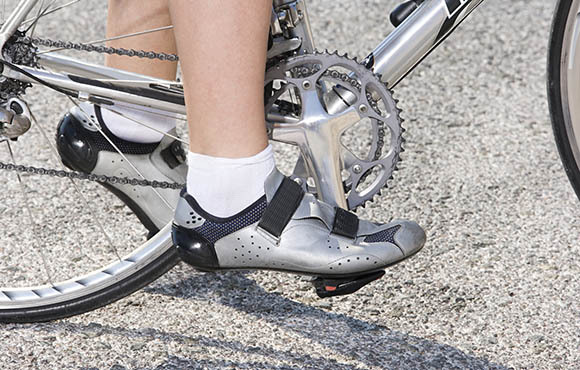 If you're more concerned about blisters, take some time to put on socks for the bike and run. Whatever you do, don't wear cotton!